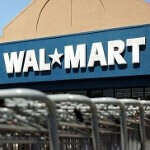 Walmart web site shows the Sony Ericsson Xperia PLAY; launch coming May 26th? From the first time that the slide out game controllers were leaked (albeit in a crude rendering), game players have been captivated by the Sony Ericsson Xperia PLAY. The device, said to provide console quality gaming, will be launched by Verizon and has already been pictured in Big Red's recent monthly phone guide. 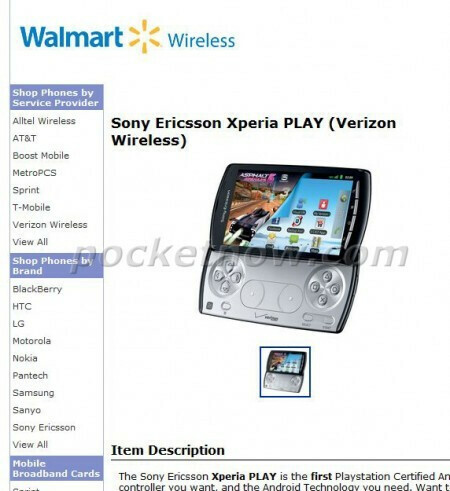 It would seem that the device is getting closer to launch-perhaps as soon as May 26th according to reports-and seeing the handset on Walmart's website just adds to the speculation that the Sony Ericsson Xperia PLAY will soon see the light of day. The phone, already launched in the U.K., is the first Playstation certified device. Does anyone know if this phone will have a front facing camera and will be 4g capable? Yes it has a front-facing camera. Nothing has been said about 4G capabilities yet. I got this phone April 1st this year, It does not have 4G (here in Sweden) but idk. It's pro and it still works as good as it did 1 month ago, and I've downloaded lots of games and apps and everything. Pro? If this phone is as cool as I think it will be, it may be enough for me to switch to an Android phone. Anyword on Bluetooth connectivity to a PS3? This is already available in Canada! IMO it's a pretty dated phone spec wise. i don't need 4G, it's a good fone as is.